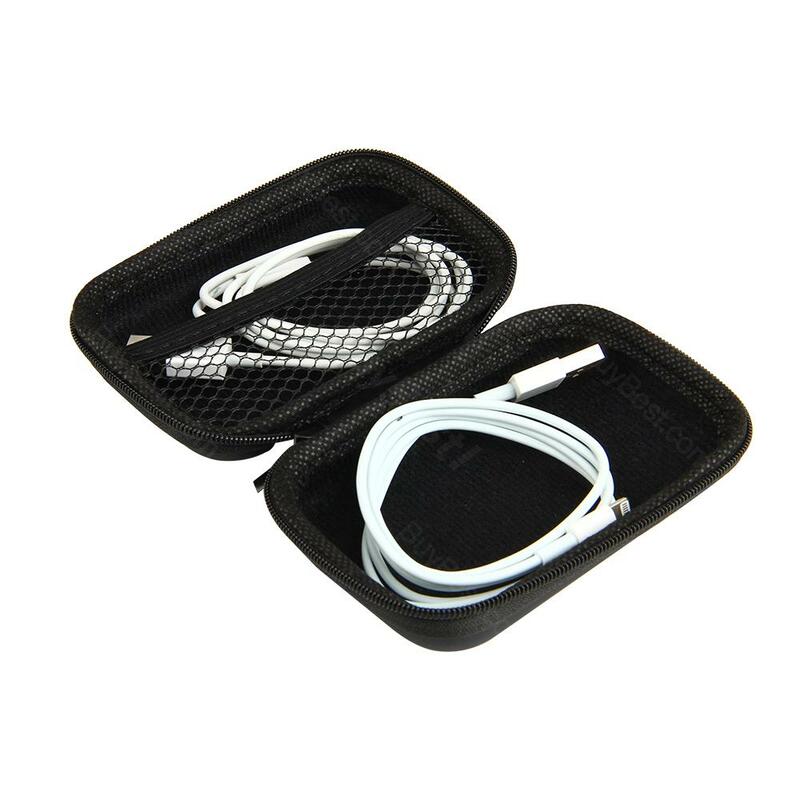 The Travel Data Cable Storage Bag is perfect for packing your headphones, TF/DF card or USB cable. It comes with a compatible size but with big capacity, which is very powerful for packing the little and easy-losing staff while traveling around. The Travel Data Cable Storage Bag is perfect for packing your headphones, TF/DF card or USB cable. It comes with a compatible size but with big capacity, which is very powerful for packing the little and easy-losing staff while traveling around. It is made of thickened EVA material, which is wear-resistant and durable to use. • We have 2 types of net, horizontal or vertical, which we send out randomly. • Quick link: Elephant Storage Box. I have used this bag now for about 8 or 9 months and it's been through quite a bit of travel. It has held up well and seems to be well constructed. It's nice to be able to store all my cords, headphones, kindle, spare battery pack, etc. and keep it all organized. Perfect for my iPad, all cords with room to spare! Thinking of what else I can fit in there. Also thinking I might use it for a traveling painting kit - holders are perfect for palette, brushes, pens etc. Great bag, sturdy, with lots of various-sized pockets to hold all kinds of goodies. Just used it for a trip using it to hold my phone, tablet, headphones, various charges, extra glasses, and paperwork. If I had a minor complaint, it would be for a slightly bigger handle that I could have draped over the pull-handle on my luggage.